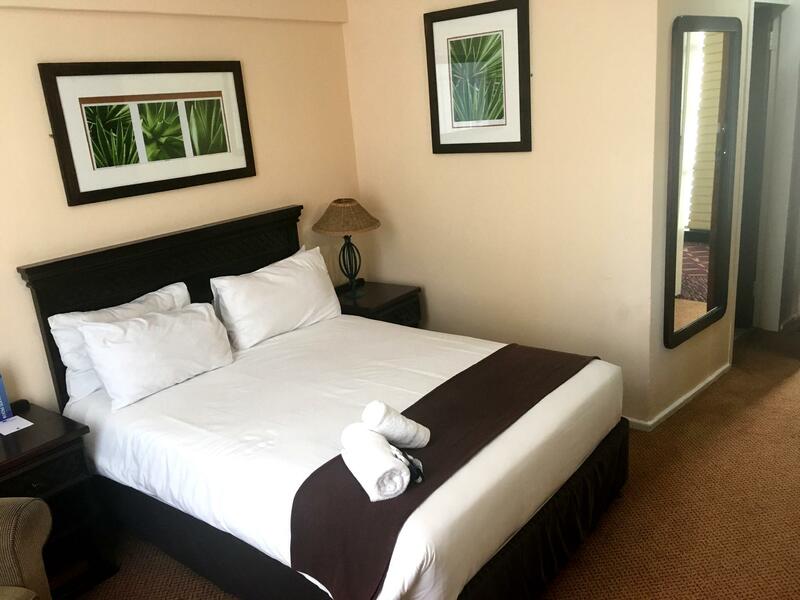 ﻿ Gooderson Tropicana Hotel Durban. JIMAT di Agoda.com! Ada soalan mengenai Gooderson Tropicana Hotel? Terletak di kawasan yang indah di Pantai Selatan, Gooderson Tropicana Hotel menikmati posisi megah di hab pantai di Durban. Dari sini, tetamu boleh menikmati akses mudah kepada semua yang bandar meriah ini boleh tawarkan. Pelawat yang datang ke hotel boleh melawat tarikan utama di bandar ini seperti: Pantai Marine Parade, Windsor Park Mashie Course, Taman Hiburan. Ambil kesempatan daripada pelbagai perkhidmatan dan kemudahan yang tiada tandingan di hotel Durban ini. Kemudahan utama hotel termasuklah meja depan 24 jam, simpanan bagasi, Wi-Fi di tempat awam, tempat letak kereta, khidmat bilik. Hotel-hotel telah direka demi keselesaan dan memudahkan tetamu. Sebahagian bilik menyediakan televisyen skrin rata, cermin, internet wayarles, bilik larangan merokok, penyaman udara. Sukan air (tidak bermotor) di hotel merupakan tempat yang ideal untuk anda relaks dan tenangkan diri selepas hari yang sibuk. Nikmati perkhidmatan yang sukar ditandingi dan lokasi benar-benar berprestij di Gooderson Tropicana Hotel. I loved my stay and everything was in order and felt like home when I was there because of the staff that welcomed us when we got there. the carpets in the bedroom we where it was that clean it had stains but besides that I loved our stay and definitely will come there next time around. the barkler was helpful, Olwethu receptionist very professional, the food was good. The stay was great, food out of this world! Just had a problem with the receptionist on arrival as we were not orientated regarding parking, dining hall and was not so helpful when it was indicated that breakfast was booked for one person instead of two. No maintanance doorknob broken they still using none functional pin plugs. Bathroom 526 need attention. On arrival I was scammed by one of the Staff for Rand 40 - I asked Reception for a South Africa electric adapter to charge my Phone. I was told that I could buy one in a shop around the corner from the hotel but not to go myself as it was unsafe. The staff member said he would kindly go for me and I gave him the money. He came back with an obviously used and second hand adaptor which he probably had in his possession already. That wasn't a great start to my arrival. No WIfi for the four days of my stay, despite the Hotel advertising it. Room was unclean with brown stains on the Towels. The mattress on the bed was filthy too. The bed room door lock did not lock completely and I felt unsafe at night because of this. The Breakfast was below average and was not satisfactory. The Hotel Staff generally were nice and friendly but the Hotel was not. Only I paid in advance I would have checked out on the first day. And that is why I won't be using Agoda again. !!!!!!!! hotel quests very noisy at night with no control over their children who roam the floors and play in the lifts all the time. 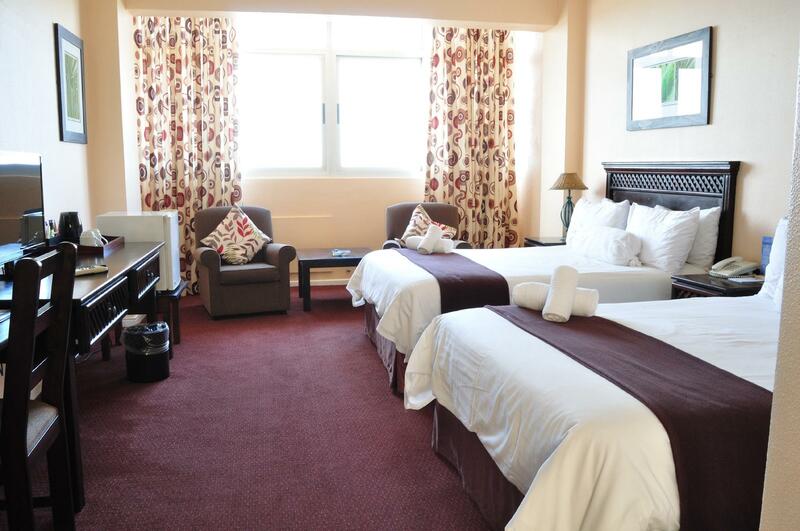 Hotel staff very friendly and helpful and i will recommend it to my friends because of the good location. Food and staff at the Restaurant and Bar. Nice place to go for a weekend on the town. The only downfall is the noise from outside till the early hours of the morning. The bathroom could do with an upgrade as its outdated. 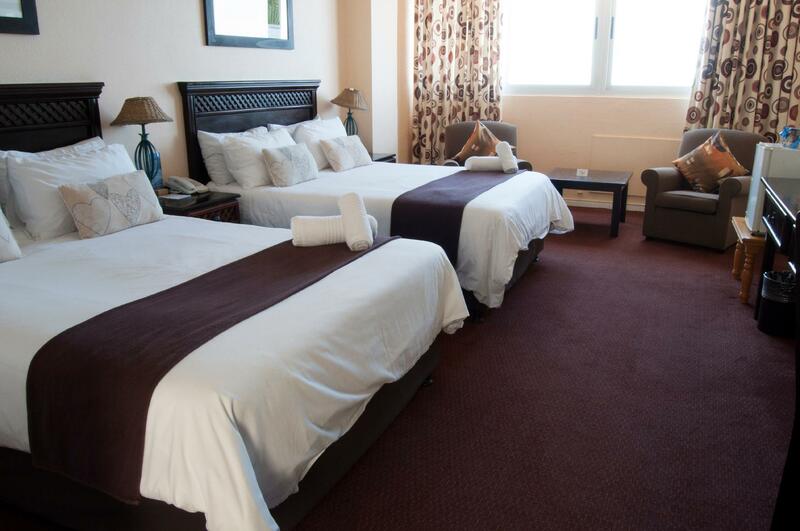 The staff is excellent, hotel is clean, parking bay is nearby and safe. A hotel to visit again. It was my third time to visit the same hotel. Excellent.